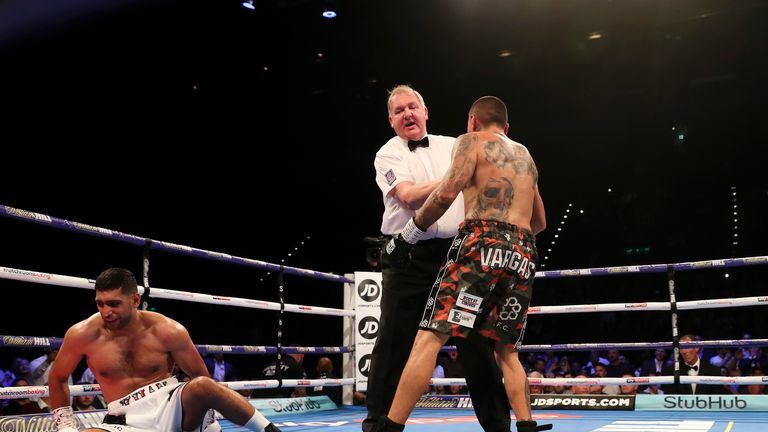 Amir Khan had to climb off the canvas to beat Samuel Vargas after a dramatic welterweight clash in Birmingham. The former world champion was making his second ring outing following an absence of almost two years and, after brushing aside Phil Lo Greco last time out, he was given a much sterner test by Vargas. 'King' Khan again showed his blistering hand-speed, twice dropping his Colombian counterpart, but he also showed worrying signs of fragility when a huge right hand dropped him at the end of the second round. There was pulsating action throughout, both men having moments of success, before scores of 119-108, 119-109 and 118-110 handed Khan a deserved victory as attention turns to who the Bolton star will face next. After a raucous reception greeted Khan on his way to the ring, the speedster quickly got into his groove, an eye-catching flurry kicking off proceedings in a lively opener. The Brit gallantly went on the attack, backing his man up, but with his chin out in the air Khan got caught by a pummeling right himself and was down on the canvas in disbelief, signs of vulnerability that have so often shadowed his career again coming to the forefront as the 31-year-old stumbled back to his corner on unsteady legs. Khan though, responded in the best of ways after a minute interlude, dropping Vargas once more with a right.This time, he followed up with more caution as the Colombian went into recovery mode. 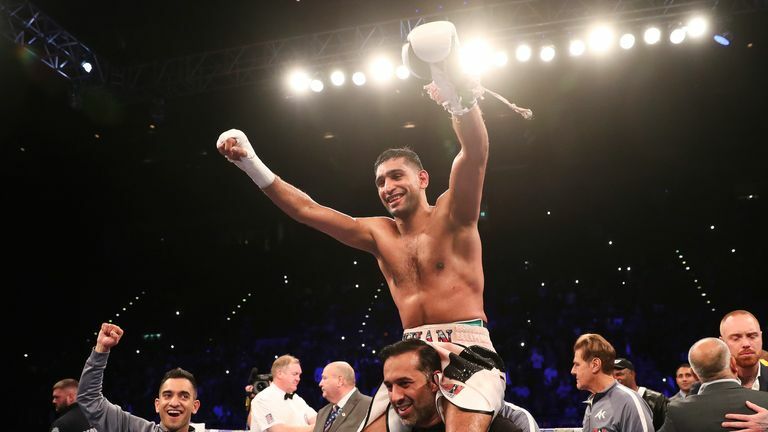 From there, with new trainer Joe Goossen looking to refine the early mistakes, Khan began to show his world class boxing skills at times as he beautifully circled his man and sprung into life with electrifying pace in the succeeding rounds. Despite the dominant unanimous decision win several worrying moments may raise alarm bells for what comes in the future for Khan.